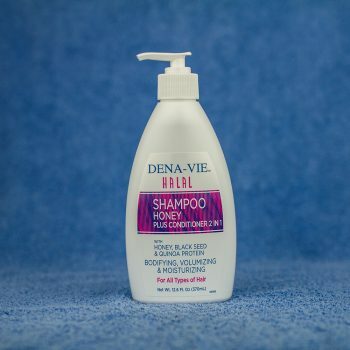 Dena-Vie Halal Products utilize natural and organic ingredients which are safe with emphasis on such as black seed, honey, olive oil , hydrolyzed vegetable protein, aloe , coconut milk, etc. 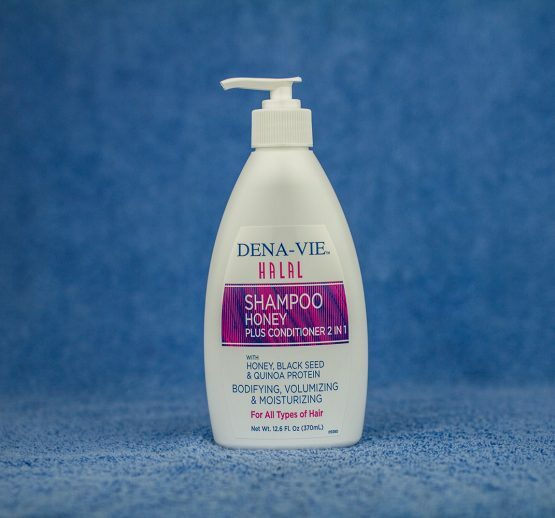 Dena View Halal Shampoo with Honey, Black Seed & Quinoa Protein. Dena Vie Halal products are certified by the American Halal Certification Inc., USA, which means in Arabic, 100% lawful or permitted.